No matter how hard you work to maintain your home or business, the tough reality of property ownership is that disaster can strike at any time. In fact, sometimes it seems like the only thing you can count on is unpredictability. Fortunately, that’s not entirely true. You can also count on 911 Restoration of Denver. Whether it’s water damage due to a burst pipe, destruction from a property fire, or the devastating effects of a natural disaster, the property restoration specialists at 911 Restoration have you covered. 911 Restoration is licensed, insured, and bonded. Every staff member is IICRC certified and trained to remediate any damages your unique situation presents. Just as important, every one of our restoration professionals knows you are more than a customer; you’re a neighbor. They take your job personally, responding with urgency and working hard to help you feel at home in your property again. In fact, 911 Restoration staff are standing by 24/7/365, ready to take your call no matter when disaster strikes. You are even guaranteed to have a restoration technician at your door within 45 minutes. As for insurance, 911 Restoration works with every company, and caring staff works with you to help you make sense of your coverage and file a claim. Denver is an incredible place to raise a family, chase down outdoor adventures, or enjoy a night on the town. Life is good here, and 911 Restoration of Denver wants to keep it that way by ensuring all our neighbors have quick solutions for unexpected disasters. If you’re facing any type of damage in your home or business, call 911 Restoration for expert, caring support. When frozen pipes burst, an ice dam destroys your roof, or you have a flooded basement, 911 Restoration will be there to help. Water damage restoration experts are on the scene within an hour, and they start by offering a free visual inspection for property owners. These specialists will give you a clear idea of your unique needs, from the work that needs to be done from the damages that may require repair. When your friendly water damage restoration team gets to work, they cover all your bases. They pack out and store your belongings to keep them safe. They handle all water removal and structural drying and dehumidifying. They even repair permanently damaged surfaces like drywall or sheetrock. The goal at 911 Restoration is always to leave your property better than new. With these dedicated water damage restoration specialists, you can expect a full recovery and a Fresh Start. Call today. Mold is by far the sneakiest form of property damage. Mold colonies thrive in dark places where you may not immediately notice the growth. They can release mycotoxins into the air, leading to allergies and other health issues. Mold is also difficult to remove. Household cleaners won’t do the trick. You need IICRC certified mold remediation specialists like the ones at 911 Restoration of Denver. Whether you know you have a mold infestation or you merely know you’re at risk of one after a water damage incident, our mold removal staff is sure to find every colony. They conduct an extensive mold inspection, then send samples of any discovered infestation to a third party laboratory for testing. Once both you and they have a crystal clear picture of your unique mold infestation, our workers take great care to remove the mold carefully and completely, without kicking an excess of toxins into the air. If you’re worried you may have an infestation of toxic black mold or any other variety of mold, contact 911 Restoration of Denver and breathe easy. There is no form of water damage more horrifying than a sewage backup. Not only does black water make a mess of your home or business and create an unpleasant odor, it also brings hazardous microorganisms into your home. Bacteria, parasites, viruses…these are all microbes that can introduce illness into your property if you don’t follow up with proper sewage cleanup and sanitation. That’s why you should contact an IICRC certified sewage cleanup staff like the crew at 911 Restoration. 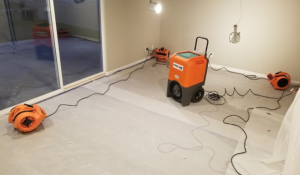 Our seasoned experts are prepared to remove the sewage, fully dry and sanitize the area, and even repair damages to floors and walls. 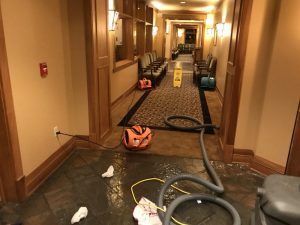 If you’re dealing with a sewage backup in Denver, Aurora, Lakewood, or the surrounding area, help is closer than you think. Contact 911 Restoration for fast service and fast relief. A property fire can mean devastating and costly damages to a home or business owner. If you’ve recently endured a fire incident—or are even simply in need of smoke damage restoration after a puff back—you can come to 911 Restoration for all your needs. The fire damage restoration staff to go great lengths to offer comprehensive service. The damages that result from fire are often far more complex than smoke stains and charred belongings. A fire event can even lead to severe water damages and mold infestation due to flooding left behind by fire hoses. That’s why our staff is fully trained for every eventuality. From smoke and odor removal to structural repairs to water damage restoration and mold remediation, 911 Restoration is the only company you need to restore your home or business to a sparkling new state. At 911 Restoration, we believe every property disaster is an opportunity for a Fresh Start. Call us today and let our fire damage restoration professionals open the door to a whole new beginning. Mother Nature doesn’t stick to regular business hours, so neither do we. In the event of an unexpected disaster such as floods, landslides, or mudslides, you can count on 911 Restoration to take your call day or night, every day of the year. 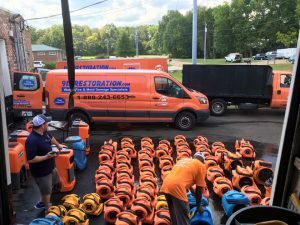 Expert disaster restoration technicians arrive on the scene within 45 minutes of your call and immediately get to work remediating damage and minimizing your losses. Compassionate staff also recognize the financial burden an unexpected disaster can be, so our team works with you to file insurance claims and work toward the most affordable solutions possible. 911 Restoration of Denver stands behind a nationally recognized name, but it’s owned and operated locally, by members of your very own community. Both owners and staff are dedicated to serving the community they love and bringing peace of mind to their neighbors. 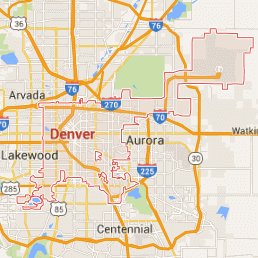 If you are suffering any form of property damage in Denver, Aurora, Lakewood, or the surrounding community, 911 Restoration of Denver can help. Call us today for prompt, professional service and a truly Fresh Start.